Summer is just around the corner! But Nutrition Management has lots of yummy meals planned before schools's out. 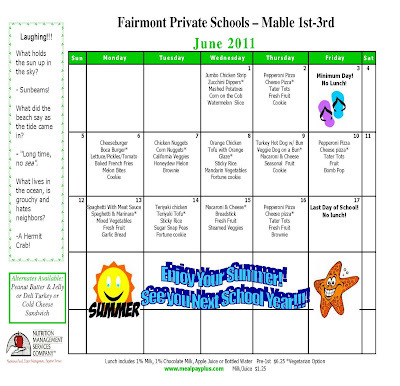 Check out our June 1st-3rd Grade Menu and our June 4th-8th Grade Menu to plan ahead.